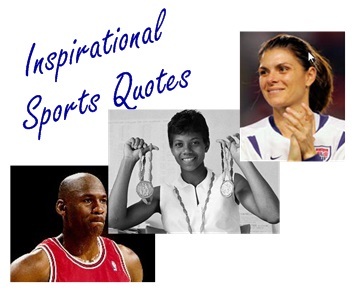 Below is our collection of inspiring quotes directed at athletes, coaches, and others who are looking for inspiration, motivation, or encouragement. They are about achieving goals, building teams, finding passion, revealing character, and finding the true lessons of sports. Take a few moments to read some and reflect on how it may apply to you or your team. “If you think you are beaten, you are. If you think you dare not, you don’t. If you’d like to win, but think you can’t, It’s almost a cinch you won’t. success begins with a fellow’s will; It’s all in the state of mind. If you think you’re outclassed, you are; You’ve got to think high to rise. Or the shoulder or the back.